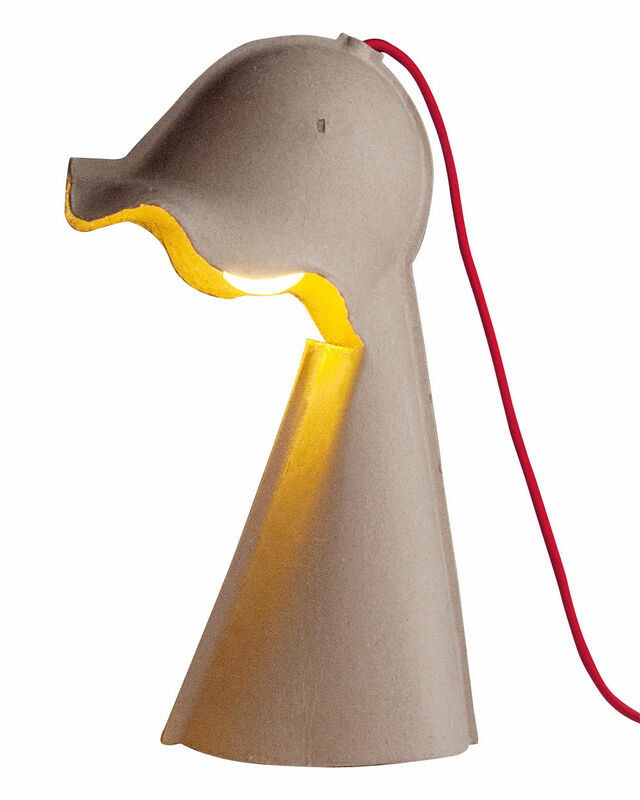 Upcycling trend for this lamp made from eco-friendly recycled cardboard! 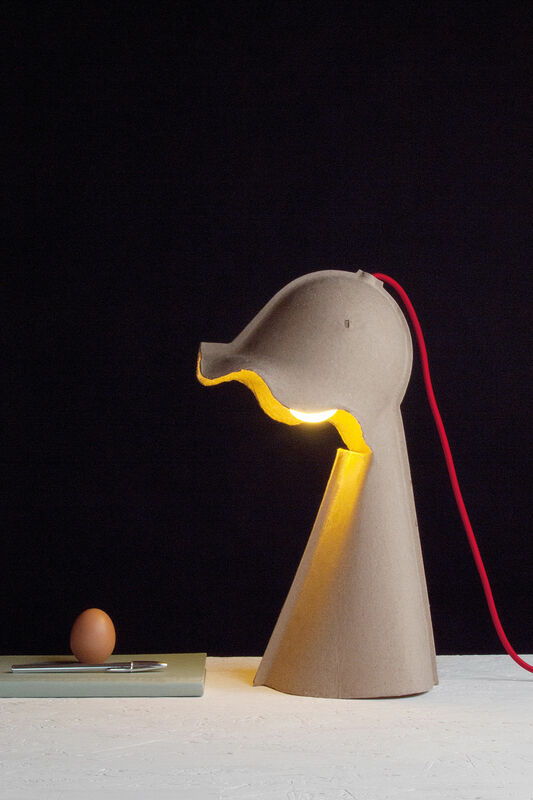 Valentina Carretta designer turns poor and disposable material (usually used to make egg cartons) to transform it into light shifted and design. Inset shows slight unevenness and roughness. 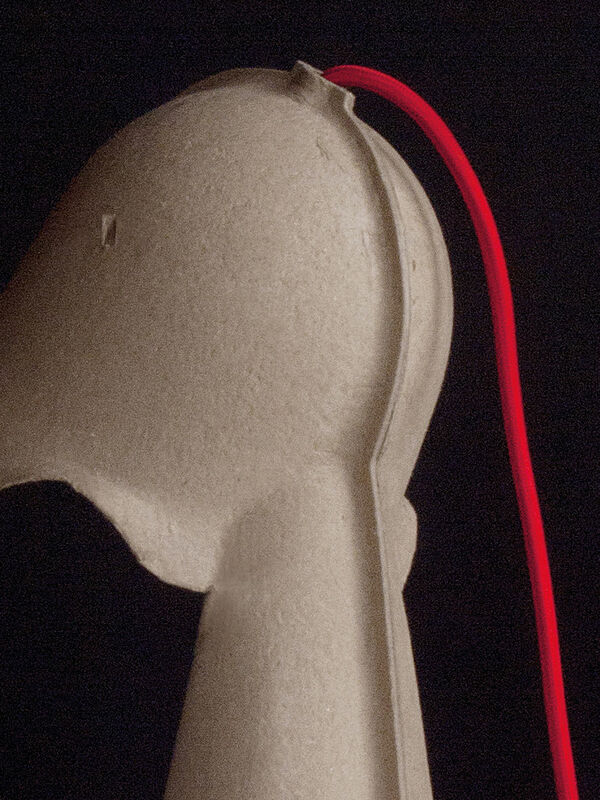 The gross appearance of contrast material in the form of collar lampshades, deliciously retro and romantic. We love the classic forms reinterpreted in an unexpected material! Retail style: elegant surrounded by red textile cable. Design unusual, original and ecological gives a strong personality to the lamp. Special mention to the minimum price that makes the design accessible to everyone!